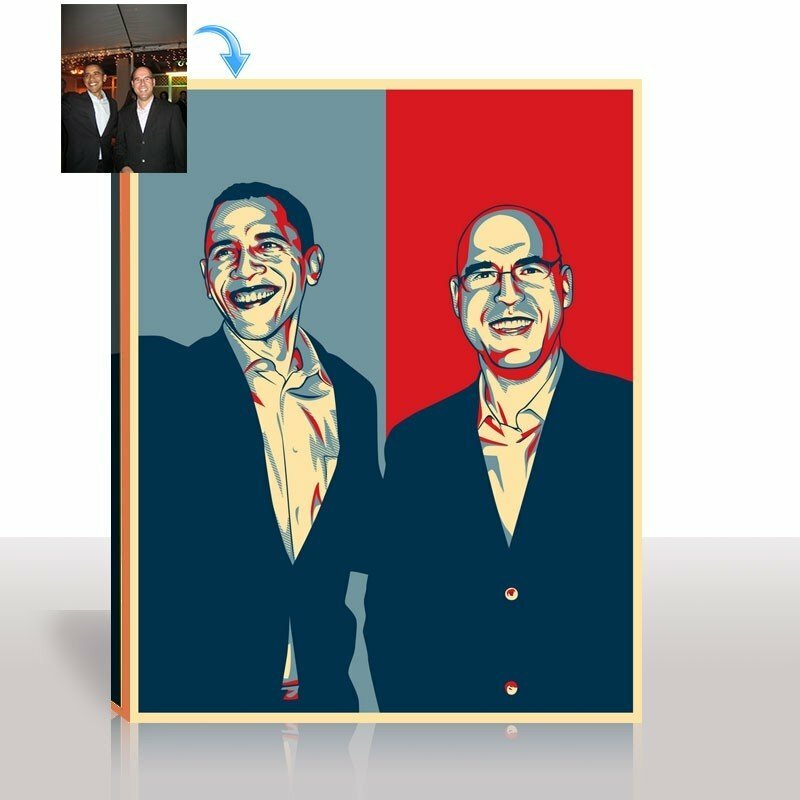 Your best photos touched with Trendy Snappy Canvas Obama art style professionally crafted photos on canvas with durable UV protection for increased durability and resistance. 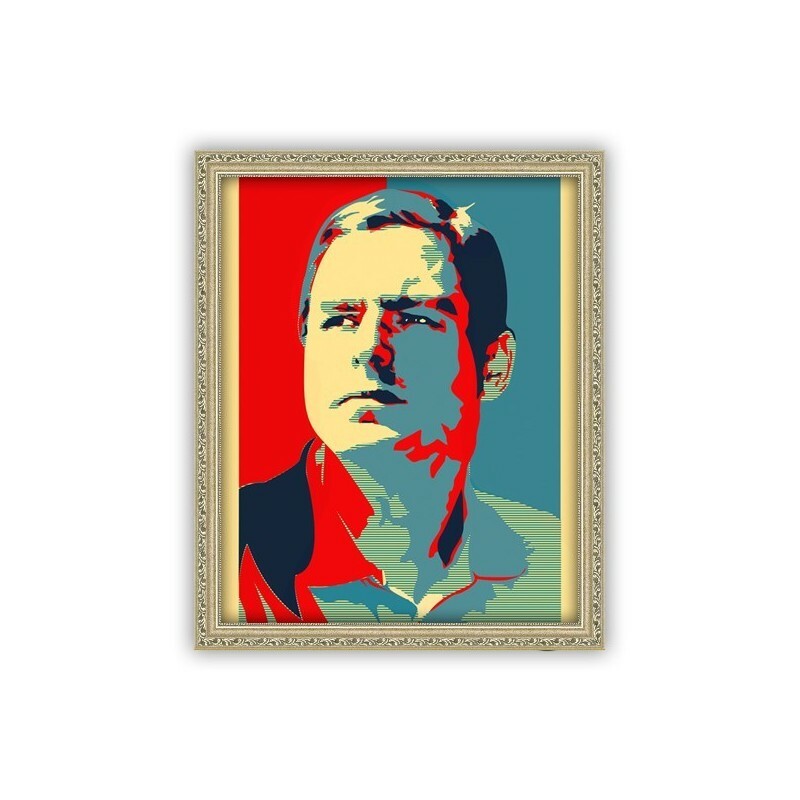 Fun, memorable photos made even better as Photos on Canvas. By buying this product you can collect up to 59 loyalty points. Your cart will total 59 points that can be converted into a voucher of $12. 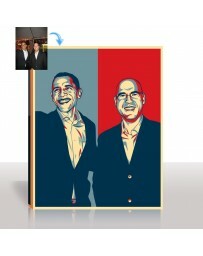 Obama Art Style makes use of the campaign poster that was so popular it was later printed on to so many merchandise such as shirts, mugs, button. 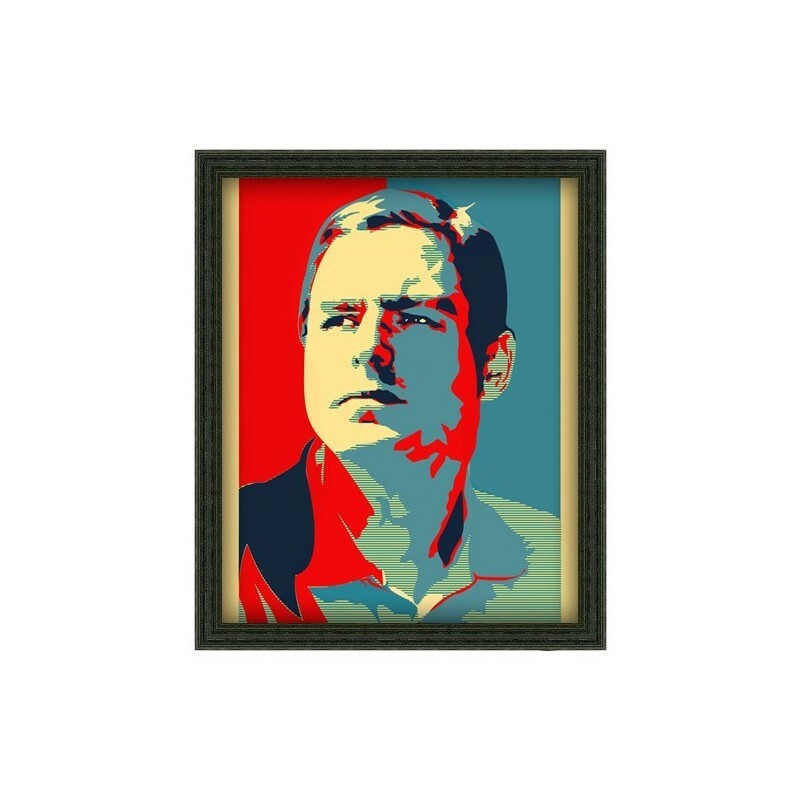 The poster was so iconic it was known worldwide, and using this in your portrait certainly gives your photograph a certain stature of dignity and excellence. This style is best used when you have a close-up shot. It makes for a very good gift idea to fathers, fathers-in-law, bosses and to any person of authority. 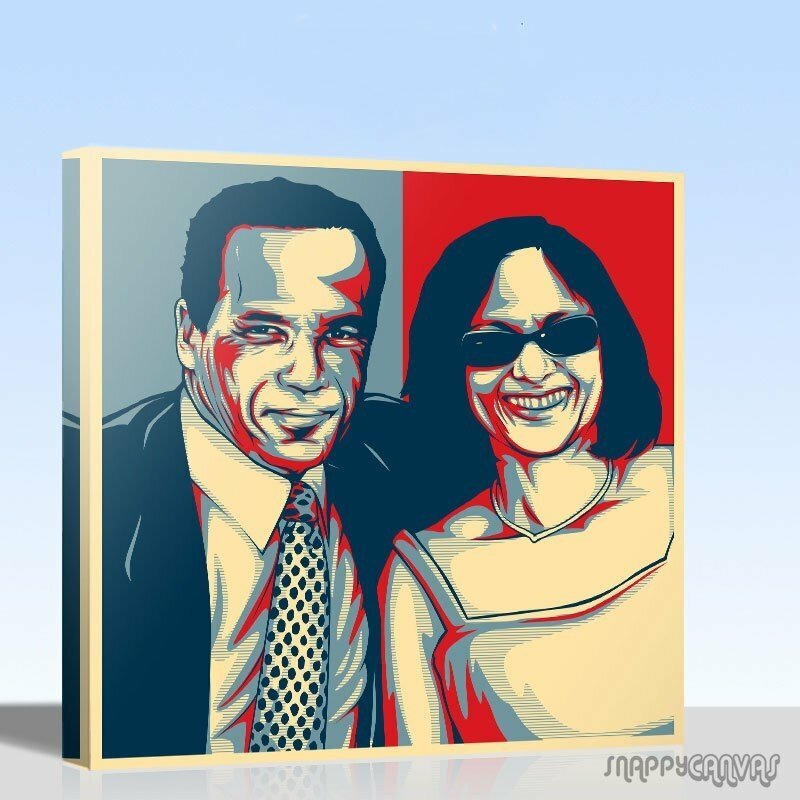 Surely your recipient will feel the love when you give them a gift of their own portrait done with the Obama Art Style. 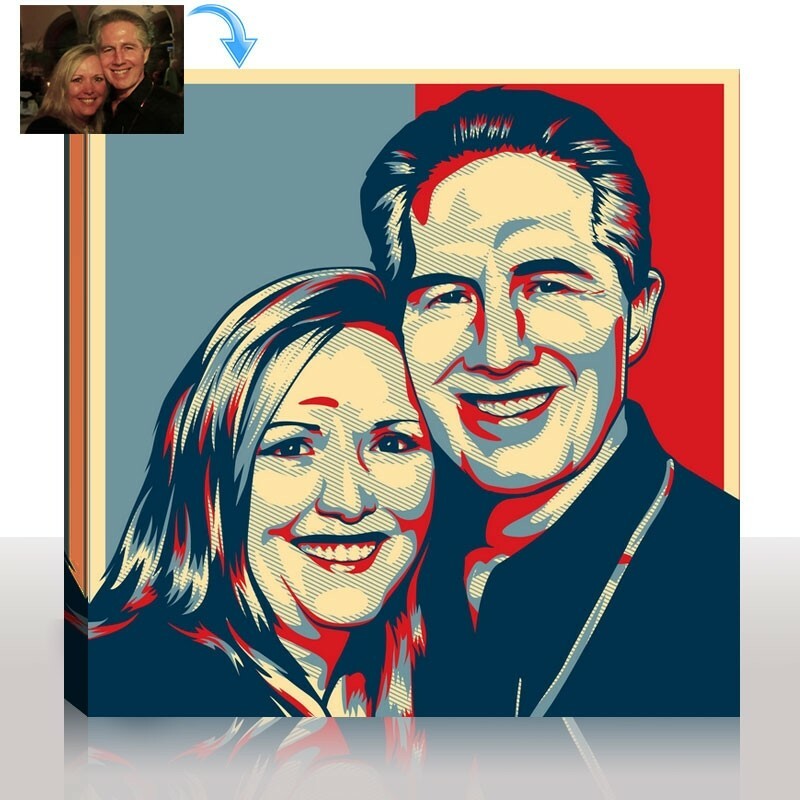 You simply need to send us your photograph, choose the size and finish and we will do the rest. 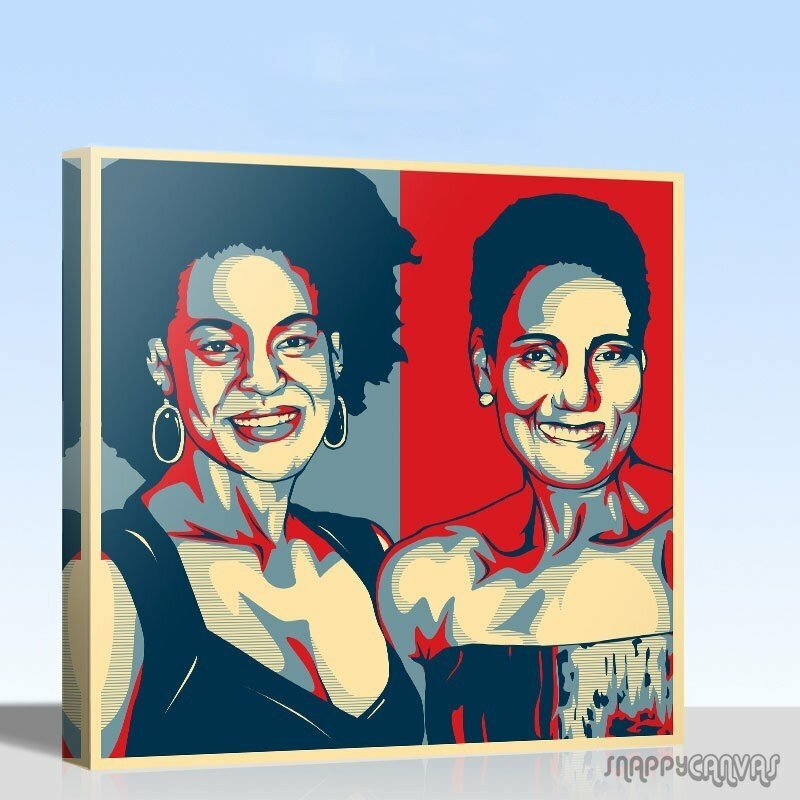 Our artists will do what they do best and give you back a portrait that will surely elicit admiration from anyone who sees it. They can also perform touch ups, which is most recommended, to remove any unwanted blemish in the portrait. 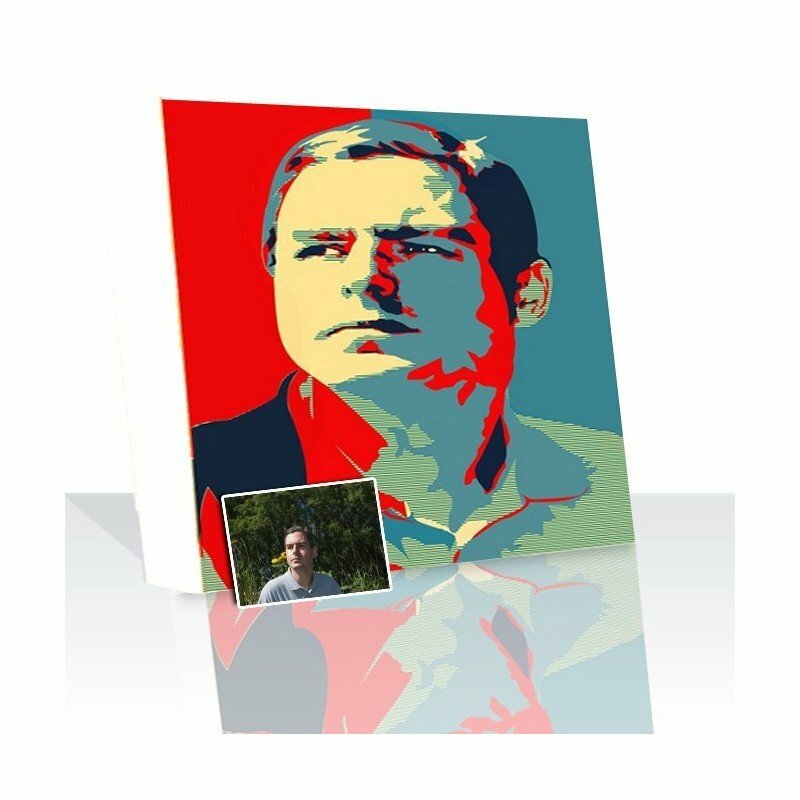 Our canvases are made from the highest quality of materials to make sure that your portraits will last through the years, perhaps until the next golden moment in history. You are also backed by a 30day money back guarantee wherein you can return your canvas if you are not satisfied with it – that is the promise we, at Snappy Canvas, make. Savor this glorious moment in history and have your portrait done in perhaps one of the most iconic campaign posters ever, the Obama Art. Send us your photos now and together we can turn your photos into timeless works of art. Quality work and excellent customer service! Staff is friendly and very accommodating. Highly recommend!